South City Physiotherapy offers a wide range of services to effectively treat many conditions. Don’t live with pain. Physiotherapy can improve your quality of life! Physiotherapists work in partnership with individuals of all ages to help manage pain and restore physical function. They deal with a wide variety of musculoskeletal conditions. Acupuncture uses needles to encourage natural healing, reduce or relieve pain and improve function of affected areas of the body. IMS is a total system for the diagnosis and treatment of chronic pain conditions. 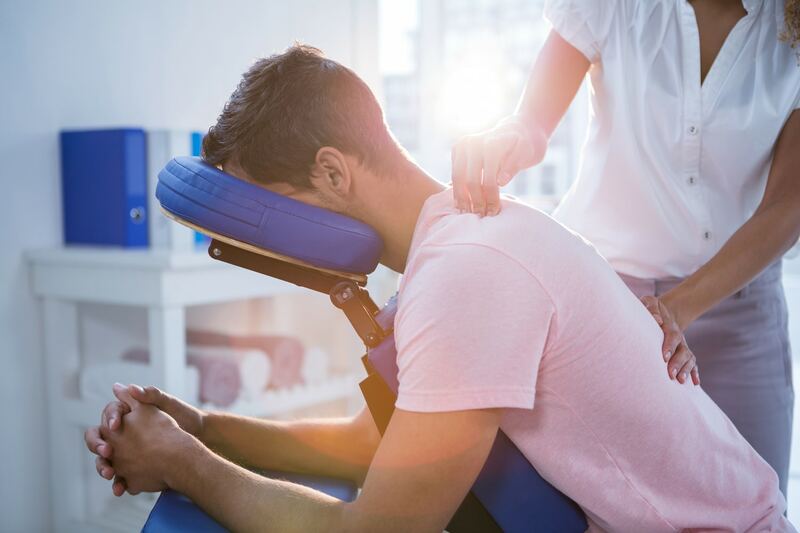 Massage therapists employ techniques including Swedish massage, aromatherapy, therapeutic touch and craniosacral therapy to treat sprains and strains, or headaches and migraines. Massage can decrease stress and help control pain. Osteopathy views the individual as a whole unit, assessing and treating movement restrictions in tissues. It focuses on the cause of pain and dysfunction- rather than concentrating only on the symptoms. Benign Paroxysmal Positional Vertigo (BPPV) is a very common cause of dizziness. It is often brought on by trauma to the head or damage to the vestibular system caused by an infection. The Temporomandibular Joint (TMJ) is one of the most complex joints in the body, and can be affected by a range of problems. Patients with a TMJ disorder often suffer from recurring headaches or chronic pain. South City Physiotherapy has a long history of caring for the Guelph community, and is committed to ensuring that quality care is available to all. Your pelvic floor musculature can be assessed externally with palpation over your clothing. This external palpation is used to feel the activation patterns of your pelvic floor and teach you how to improve those patterns. The Functional Abilities Evaluation (FAE or FCE) is an objective assessment of a person’s ability to perform a physical task. South City Physiotherapy offers the most diversified, premium bracing product lines available, with a clear understanding of the benefits of each type of brace.